Distant City Ambiences sound library by DETUNIZED is Soundware (e.g. samples or presets that load into other products). 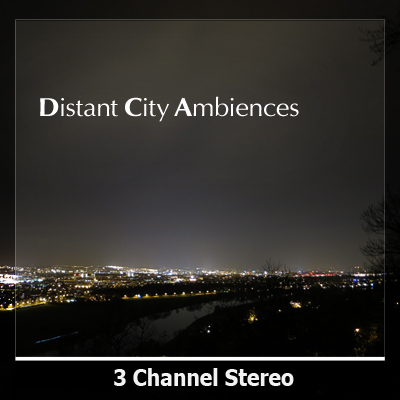 Distant City Ambiences introduces the sounds of the ever-present noisefloor that is generated by the life in a modern city. Many spots at the borderline between direct and ambient sound have been visited in order to capture the blurred sound-images of constant traffic and other urban noises with some tiny details poking through. All recordings are made with a 3-channel setup of Sennheiser MKH8020 / 8040 microphones that are able to capture the finest nuances which are often hidden by an aggressive compound of ever roaring engines, passing airplanes, trains and other acoustic emissions. The library features 16 different locations that were visited several times between October and December 2015. Each place was recorded at different day and night times so that an entire 24h cycle of city ambiences is covered. For the ease of use in either stereo or multi-channel productions each take consists of an Left/Right (stereo) file plus the complementary center signal that is carried in a separate mono file. 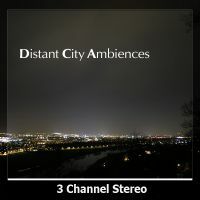 Distant City Ambiences is available in three formats. 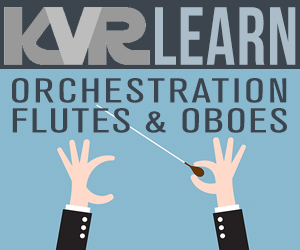 requires Live 8/9, 20 Instrument Racks, 700 MB, Price: € 12.00. 20 Broadcast WAV files with embedded description in 24/48 resolution. 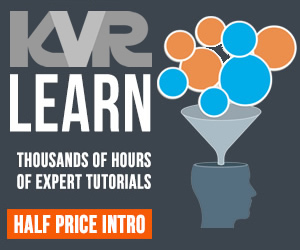 700 MB content, Price: € 15.00. 88 Broadcast WAV files with embedded description in 24/96 resolution. 7.5 GB content, € 39.00.